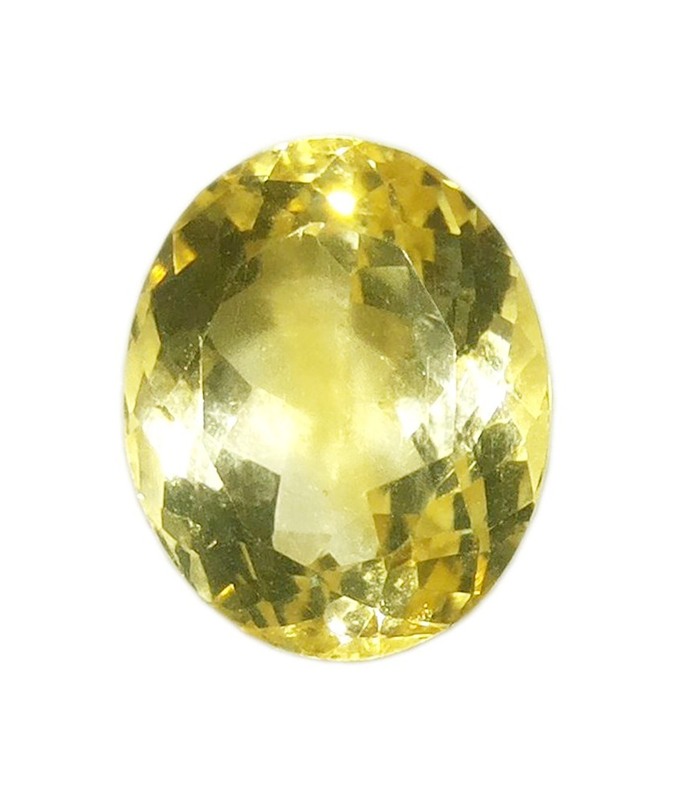 Named for the old French word, citrin, meaning lemon, it has been a popular gemstone for thousands of years. 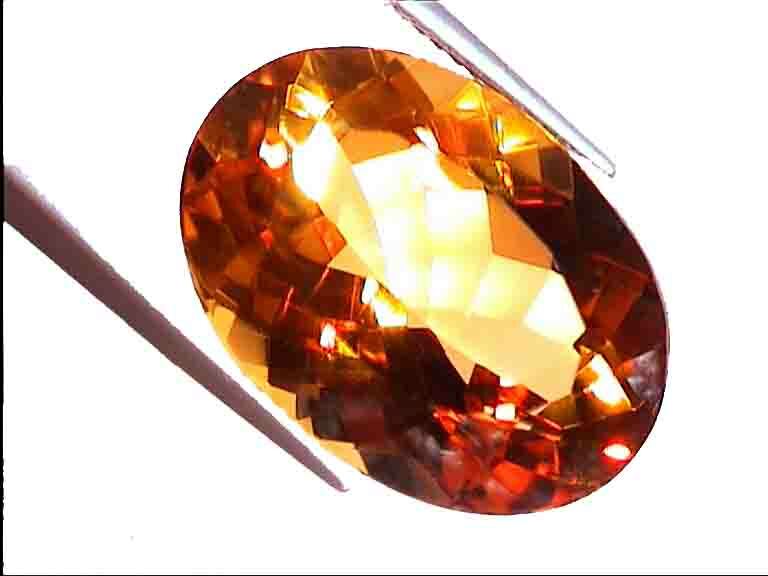 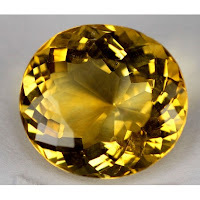 Citrine is sometimes confused with Topaz but it is more precious and expensive. 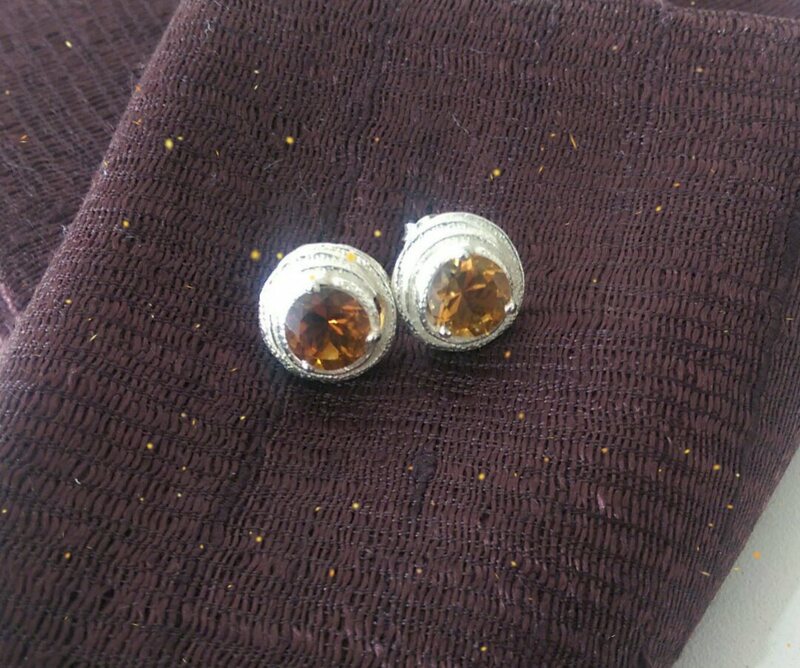 In nature, citrine's colour is due to tiny impurities of ferrous oxide. By far the biggest supplier of natural citrine is Southern Brazil, and the most valuable stones are the darkest, sometimes known as 'Madeira Citrine'. 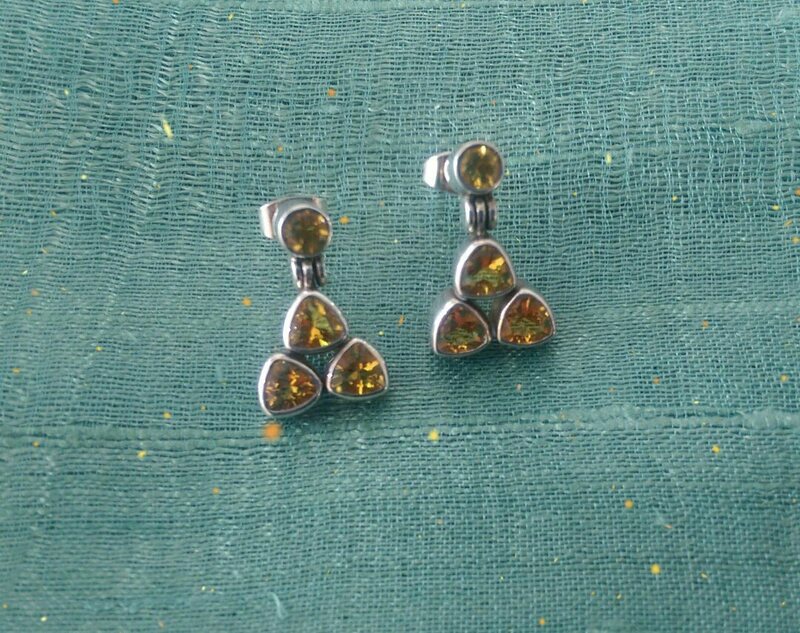 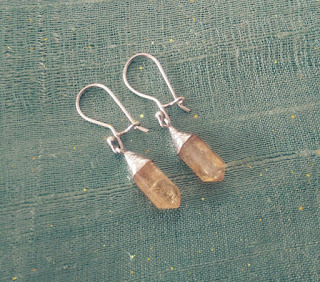 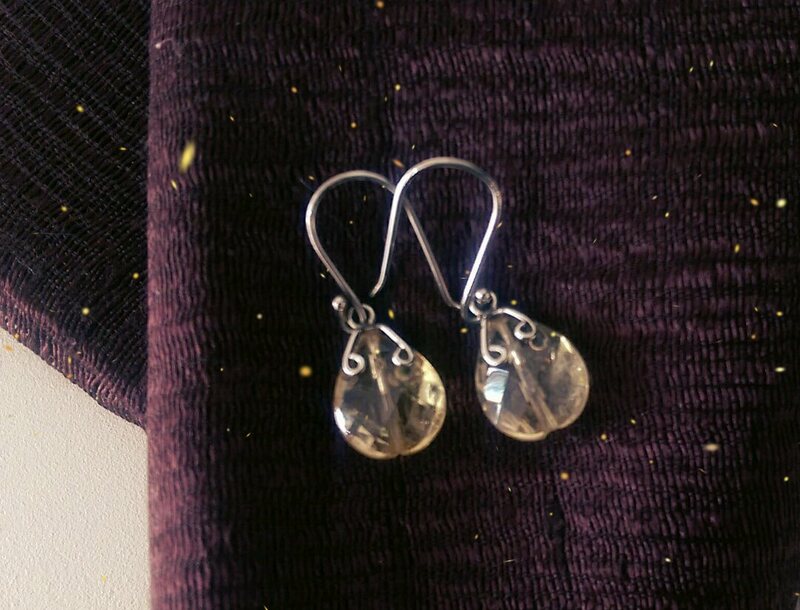 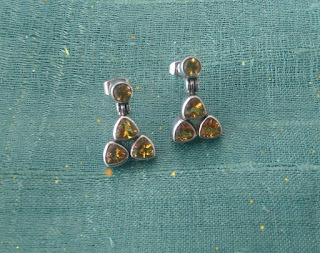 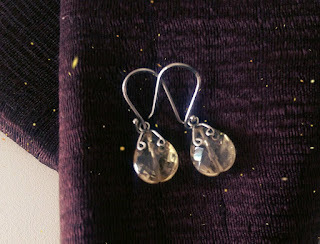 Citrine and sterling silver earrings £44. 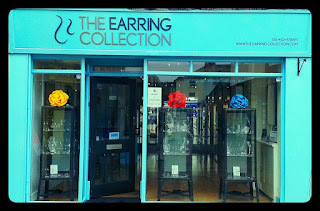 Visit our boutique shop at 120 High Street, Cowes, Isle of Wight.